This WordPress Training Course will give you the opportunity to build a website from scratch, and manage WordPress Dashboard. Delve into the back-end with WP-Config files, and MYSQL Database. You get a Free Template valued at R750, and we include a brief overview of how to use SEO techniques to market your website. Ask about Wordpress Training Online, we offer via Skype with a view of trainers site. 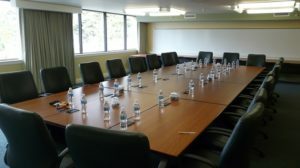 Our conference facilities are hosted in a quiet and relaxing environment. Only 25 Minutes from Cape Town, and 35 to 40 Minutes from Cape Town Airport. WordPress Training Online available and at our facilities. We train participants that have limited experience, or no coding background to setup and maintain a WordPress web site. On successful completion of the program, you will receive a Certificate of Competency for WordPress Training.